OK, I get it. Everyone wants to get high quality at no cost. Right? It is particularly in software that we see a clear trend towards outsourcing. This is nothing new. Because of the increasing average salaries of developers and the difficulty in finding qualified engineers, many companies are welcoming the idea of outsourcing. 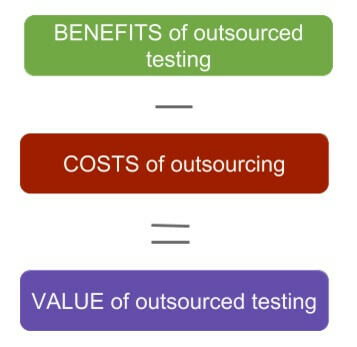 When it comes to testing, outsourcing might also look like an easy win. Promised high quality at no (internal) costs. Awesome. But before you consider outsourcing for your company, I recommend that you ask yourself the following questions. Is outsourcing more than just a trend? Web applications and websites are increasingly being tested by external suppliers because more and more businesses strive to reduce internal costs. The main reason could be the increasing cost of employees. Take a look at the average salary of developers in the US and you know why. Aside from that, outsourcing website testing also enables companies without dedicated QA staff to provide high-quality applications with little to no bugs at predictable costs. One might argue that the areas of testing and tracking bugs have gained popularity in the last few years due to increasingly complex software. This is probably true. And the true cost of these bugs found in our web apps and websites is increasing. $312 billion a year on a global scale for software bugs is quite a lot. This fact is accelerating the trend of outsourcing software testing. Should I really outsource Website testing? Considering the amount of time and money businesses need to spend on website testing, outsourcing is something that every web development team will need to consider at some point. Should you continue to do the testing work yourself? Should you hire someone to help you? Or should you outsource website testing? Website testing & tracking bugs can easily become a full-time job while building and maintaining complex applications. If you have a small team, you can’t always dedicate internal resources to your website testing efforts. You probably end up ignoring testing and tracking bugs, or, if it is done, it’s done mediocrely. So, how to solve that situation? Does anyone on my team have the skills I need? Tracking bugs and testing websites is not everyone’s business but ensuring the high quality of your website or application is something that everyone must be aware of. Tracking bugs and testing websites is not easy. 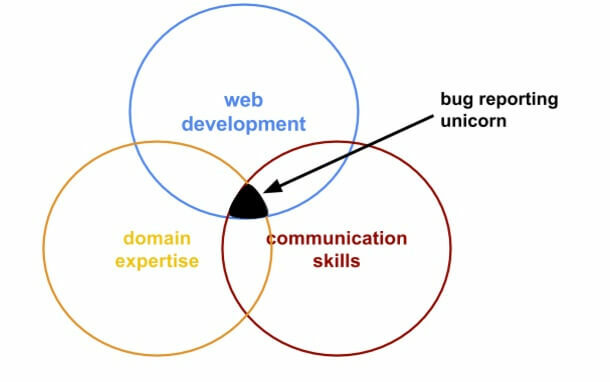 Communication skills: documenting, reproducing and fixing bugs are also mainly about the right amount of communication. What’s the value of outsourcing? When thinking about outsourcing the testing & bug tracking tasks, most companies seem to focus more on the expected benefits of outsourcing. There are also costs involved and this side of outsourcing often remains overlooked. Regardless of company size and environmental situations, the following factors must be considered when it comes to the decision-making process of whether outsourcing testing is an option or not. Especially the costs of outsourcing are often overlooked. Setting up outsourced testing will require a contract between your company and the supplier which takes over the testing efforts. Besides the costs of setting up a contract, you also have to consider setting up different processes, such as communication workflows. Who should I involve in the process of outsourcing my website testing? The short answer is: Everyone who might be affected by the outsourcing decision. Developers, designers, project managers or external team members are the most important people affected by the decision. By keeping them closely involved in the decision-making process, the implementation stage can be done faster & easier. How effective is outsourced bug tracking? When outsourcing your website testing and bug tracking to an external vendor or supplier, you might find that the work, previously done in-house, suddenly takes longer to get done. I found this quote quite helpful. Along with the great benefits of outsourced testing, there are always some (hidden) costs. As a team, you have built up certain skills and knowledge and these skills have been built up for a couple of years or even longer. When outsourcing your website testing, it must be clear that external QA agents or contractors cannot take over your entire skill set from day one. What will the website testing workflow look like? When thinking about outsourcing all your website testing and bug tracking efforts, you should have a clear understanding of your requirements and the workflows you want to outsource. Make sure to check out our latest post on how to set up your bug tracking workflow. How will you measure the success of new process? When it comes to monitoring the website testing efforts which you have outsourced, measuring success is important. You need to have reasonable guidelines which define a successful process beforehand. What’s the main goal of your website testing efforts? On how many browsers must the site / application be tested? On how many devices must the site / application be tested? On how many operating systems must the site / application be tested? What are your requirements and performance criteria? As you can see from the questions above, it’s all about defining your goal and requirements. By comparing those requirements with the actual testing outcome, you are able to measure the success of your outsourced testing. Testing websites and tracking down bugs is an effective, and important method when building new websites or applications. Its importance continues to grow every year since new devices and browsers are making it harder and harder to ensure a bug-free website or application on every device. Outsourcing your website testing & bug tracking sounds like an easy win. In some cases, it truly is. But there are a lot of things to consider which you’re probably not aware of in the beginning. The 9 questions, of which I’ve gone into detail here, will ensure that you know whether or not you should outsource your testing efforts. How to approach mobile website testing? 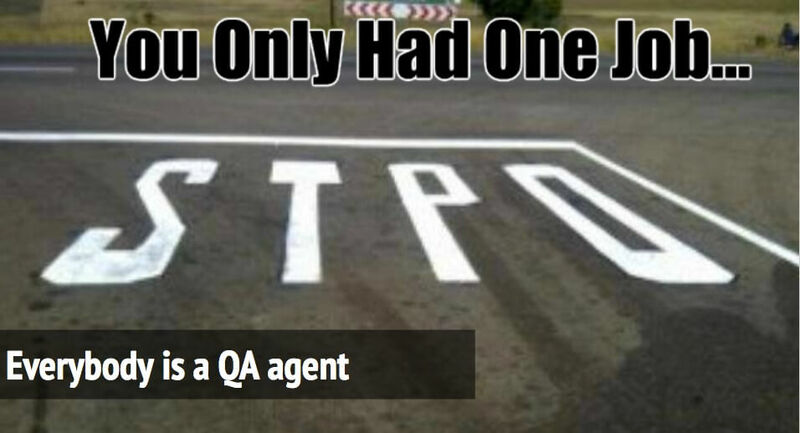 What’s your experience with outsourced testing & bug tracking? This article was brought to you by Usersnap – a visual bug tracking tool for every web project, used by software companies like Facebook, Microsoft, and AddThis. A beginner’s guide to Pivotal Tracker: How to boost your Pivotal Tracker projects! Containerize your web development: How Docker is solving real world problems for web developers!